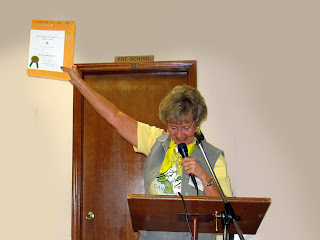 awards programs. The Committee submits applications and required books of evidence in time for consideration. 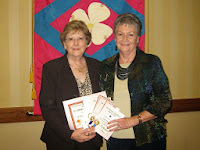 Photos of some of the Club's many awards from previous years. 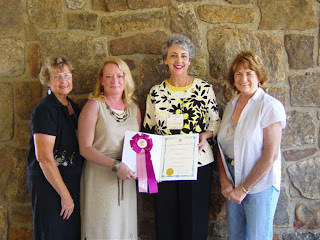 First place awards: Press Book, Year Book, Garden Therapy and a $25 award for National Garden Week. 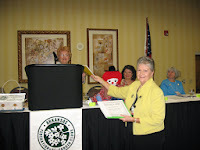 South Central Regional Director’s $300 Award for the Youth Butterfly Project. (Member Alycyn Culbertson was given a ‘butterfly’ made from three one-hundred dollar bills on behalf of the club, in recognition of her work on this award. Award of Merit for the Press Book and a Certificate of Commendation for the Yearbook. Art, Wine and Garden Party. Chair JB Portillo received a gift from the president in recognition of her work toward this high and rare honor.